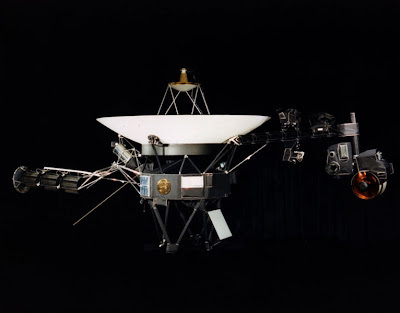 The Voyager program consists of a pair of unmanned scientific probes, Voyager 1 and Voyager 2. 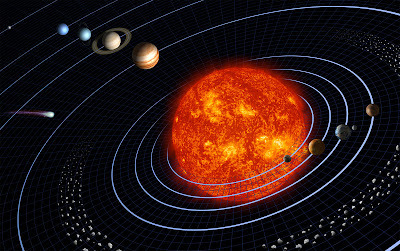 They were launched in 1977 to take advantage of a favorable planetary alignment of the late 1970s. Although they were officially designated to study just Jupiter and Saturn, the two probes were able to continue their mission into the outer solar system. They have since continued out and exited the solar system. These probes were built at JPL and were funded by NASA. Both missions have gathered large amounts of data about the gas giants of the solar system, of which little was previously known. 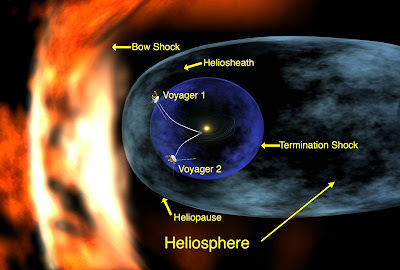 In addition, the spacecraft trajectories have been used to place limits on the existence of a hypothetical post-Plutonian Planet X.
Voyager 1 and 2 both carry with them a golden record that contains pictures and sounds of Earth, along with symbolic directions for playing the record and data detailing the location of Earth. 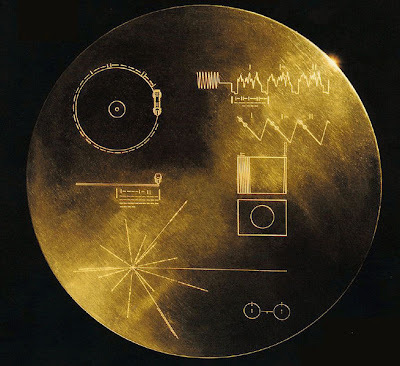 The record is intended as a combination time capsule and interstellar message to any civilization, alien or far-future human, that recovers either of the Voyager craft. The contents of this record were selected by a committee chaired by Carl Sagan.